David Rimmer is one of Canada's best-known and influential experimental filmmakers. This 3-volume set brings together Rimmer’s seminal early works, made between 1968 and 1986. 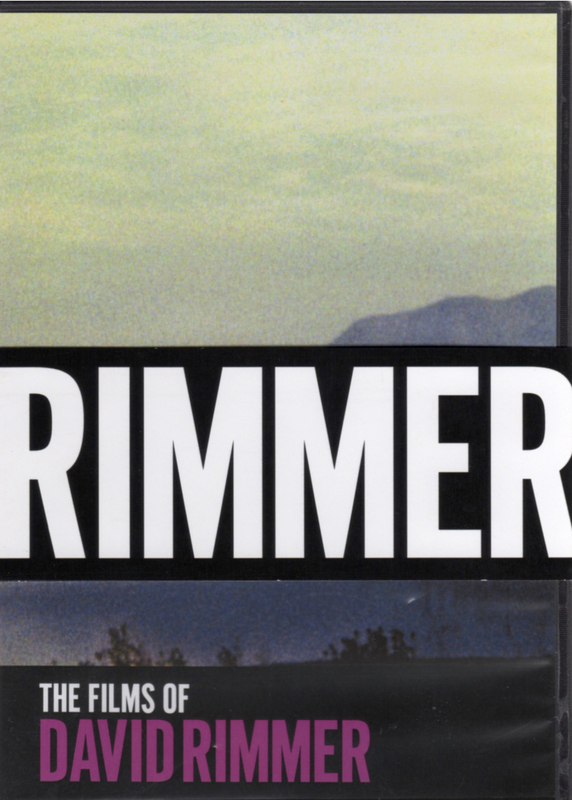 Born in Vancouver, BC, Rimmer has been a key figure in that city's avant garde and in New York City. Rimmer’s films are known for their formal experimentation with looping, superimposition and optical printing. But they also go beyond structuralist strictures to operate on a poetic and metaphoric level. Complement the set with Reading David Rimmer, an e-book edited by Mike Hoolboom. Using fixed-frame timelapse, fifteen hours of a day in the mountains, showing the changes in the sea and sky, is compressed into eight minutes. It was originally designed to be displayed like a painting: rear-projected onto a plexiglass screen that was framed in a false wall by a traditional wooden picture frame. “‘Blue Movie’ was made for the international Dome Show where it was projected down onto the muslin surface of David Rimmer's geodesic dome. The audience lay on the floor looking up at it, the inside of each eye finishing the globe” (Gerry Gilbert, B. C. Monthly Magazine). Screened as a traditional "cinema" film, "Blue Movie" is about movement on the film surface. “Treefall" was originally made for a dance performance at the Vancouver Art Gallery, April, 1970. Structured in the form of two loops of high-contrast images of trees falling, reprinted and overlapped. Designed as a companion piece to “Canadian Pacific.” Shot from a window two storeys higher, on the fourth floor of the next building east from the artist's studio of the previous year: December 1974 to February 1975. Can be projected alone or in double-screen format with "Canadian Pacific." Starting with a boat swaying on its anchor at the head of an inlet, a landscape of pilings, shore, and forest is slowly revealed by time-lapse photography as the morning fog lifts. While the deep space of the landscape evolves out of the fog-enshrouded flatness of early morning, the camera skips from fixed point to fixed point - suggesting the motion of the human eye while reading. A film which deals with aspects of male and female representation, spatial and temporal dislocation, and notions of framing and containment.